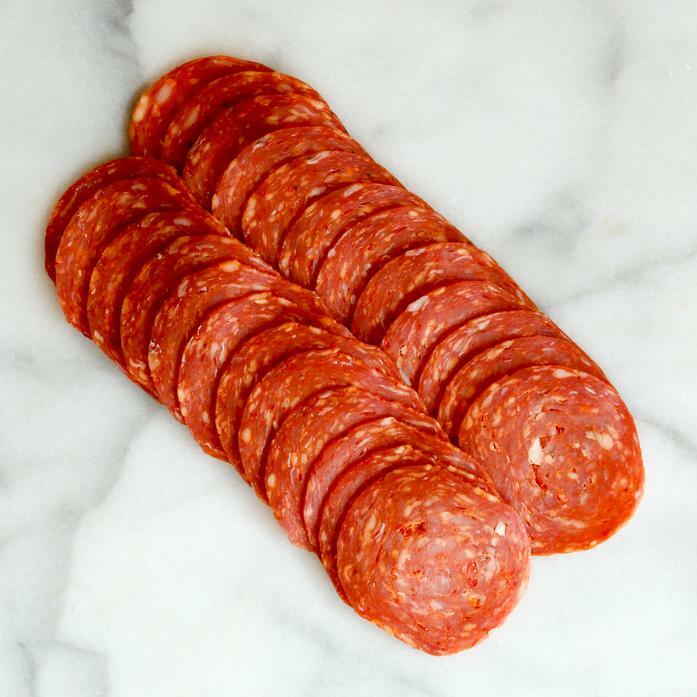 Our Hot Soppressata is the essence of the Italian-American neighborhood where we grew up in Brooklyn, New York. It’s got heat and depth, as it’s seasoned with chili flakes, black pepper, garlic. Enjoy on a sandwich with some crusty bread. Serve as an appetizer with cheese and marinated vegetables on an antipasto platter to share with friends.